Easily recognized bunting with highly contrasting plumage. Tail with black center, boldly framed by white edges and white rump in all plumages. 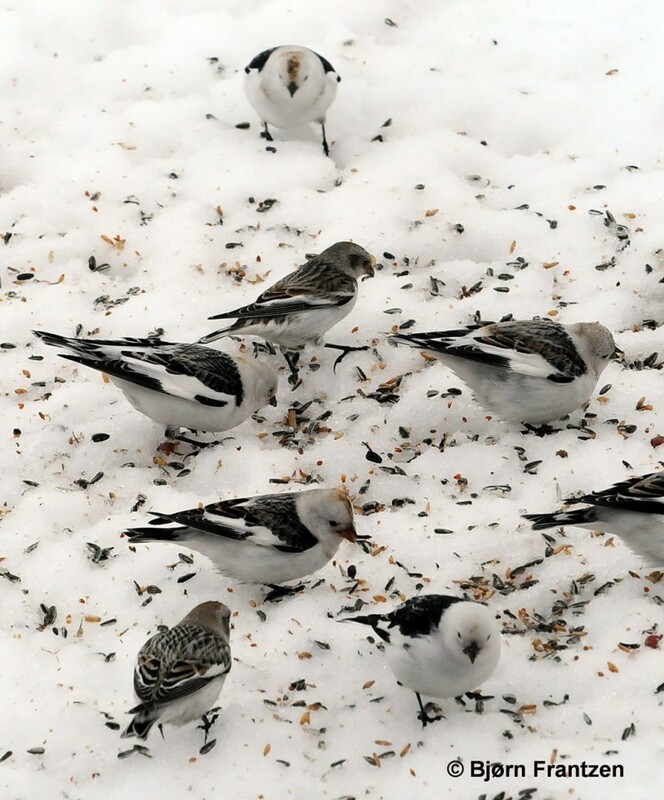 Males with white wings with black hand. 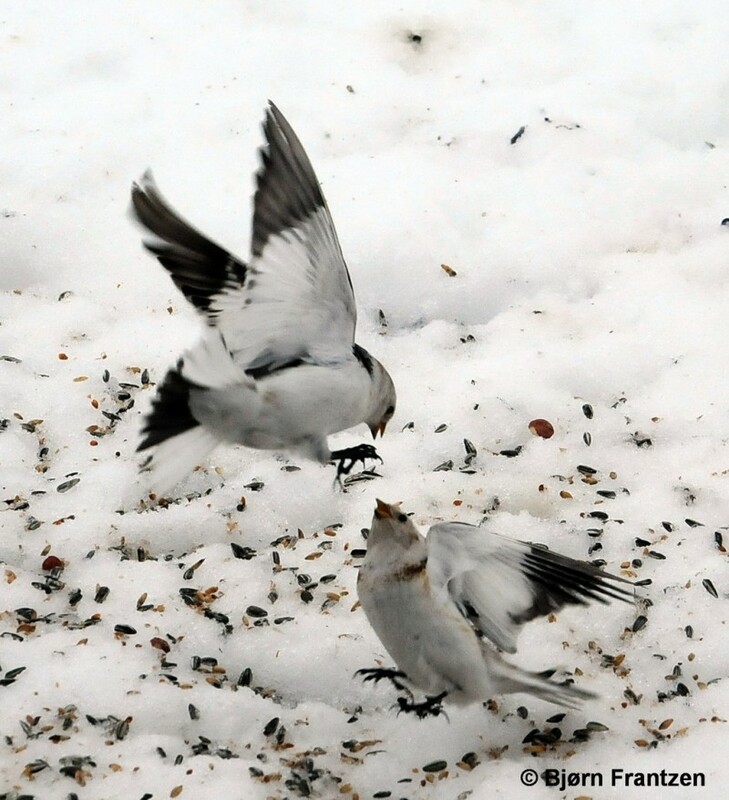 Adult females with most inner parts of wings white, juveniles with white wing-bars only. 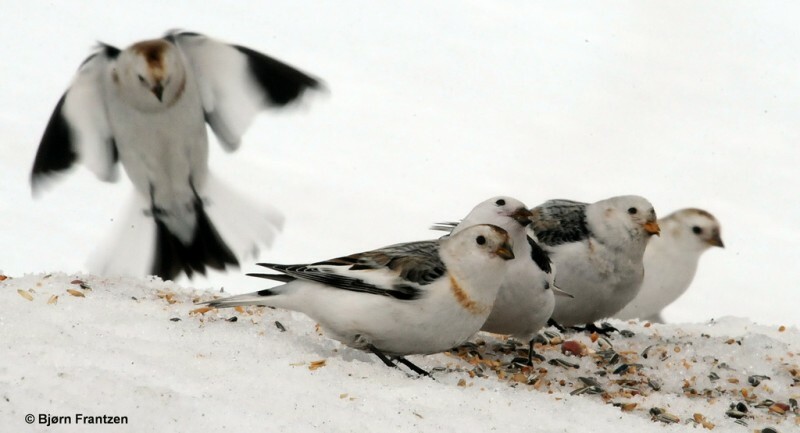 A flock usually has a few adult males which gives away the species with their flashing white wings. Summer plumage of male white with black back, bill and legs. 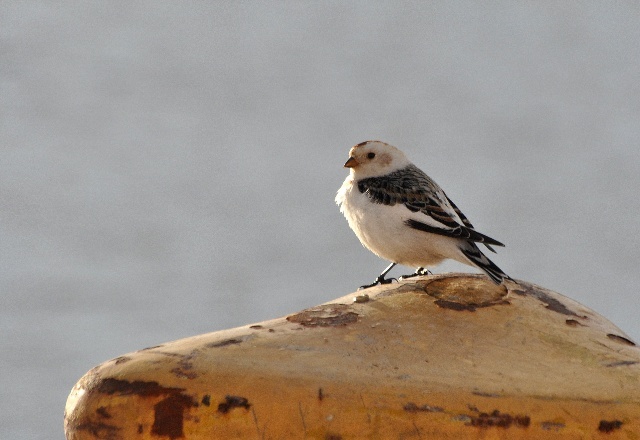 Female less pure white, with buffish head and cheeks. Juveniles mostly grey. 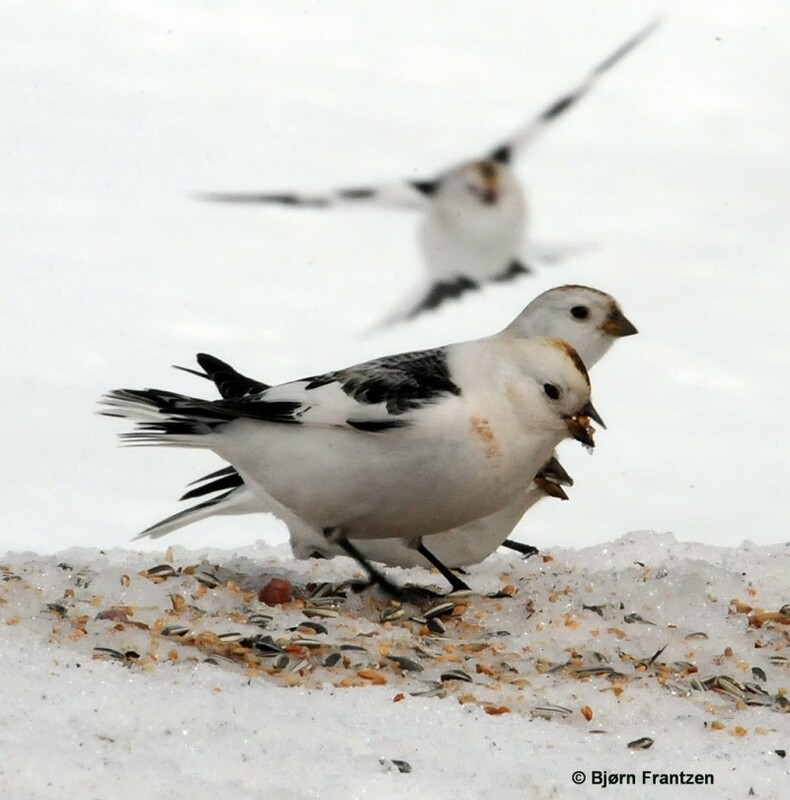 Though most of adults white on wing is missing, the tail-pattern is diagnostic in flight also in young birds. 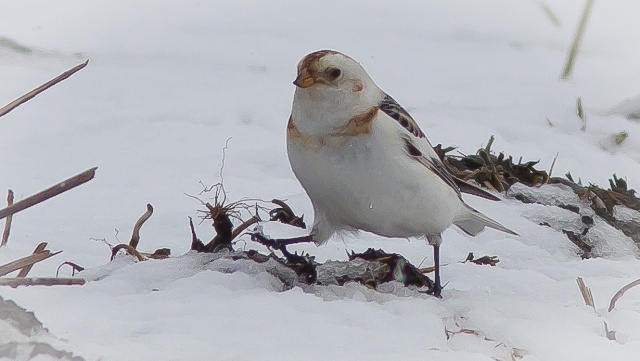 In winter plumage the black parts of the plumage turn more brown and buff in both sexes. Contact call a short, melodic and rapidly descending "peeuu". Often alternating with a rattling "trrreet". 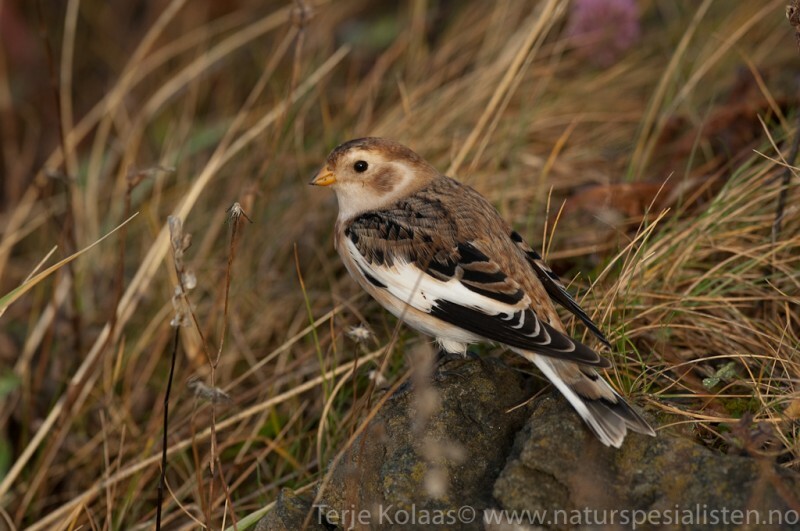 "Peeuu"-call quite similar to Lapland Bunting, but harder, purer in tone and less nasal. Song simple and melodic. 2-5 syllable motifs with fairly wide tonal range. 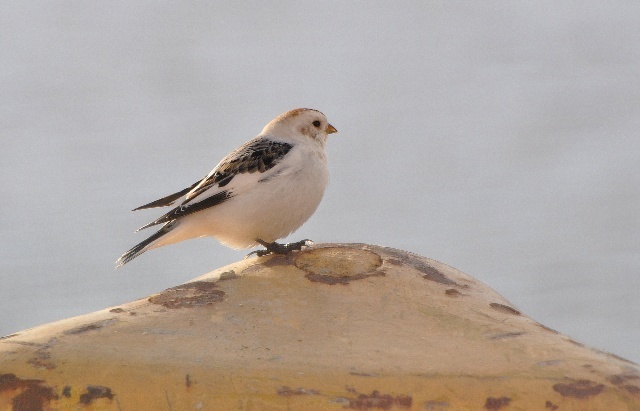 Can be confused with Lapland Bunting, but is much purer in tone with a less jingling timbre. Local dialects.